Skip hire services have become invaluable to homeowners and businesses alike. With the increased efforts to clean up the environment, proper waste disposal is championed everywhere. Homeowners find excellent uses for skips when doing renovations or spring-cleaning. All the rubbish that has accumulated since your last cleanup needs an efficient way to get it out of the house. When moving houses, you can also use a skip to put all the stuff that won’t’ be making the trip. Skips are ideal when clearing out an office or in large construction projects. For skip hire in Preston and the surrounding regions, we have affordable and quality services whether your needs are domestic or industrial. Skips are easy to use, which simplifies your waste disposal tasks. Compared to other means of removing rubbish from a property, hiring a skip is uncomplicated. You can ask for a quote online and book your skip hire in a matter of minutes. We make certain that deliveries take the shortest time possible, which is why we have services in different regions. Preston Skip Hire is your best bet for domestic and commercial waste disposal. For skip hire Preston, consider Preston Skip Hire. Our team of experts have a wealth of experience and superior knowledge of the local area – so why go anywhere else? 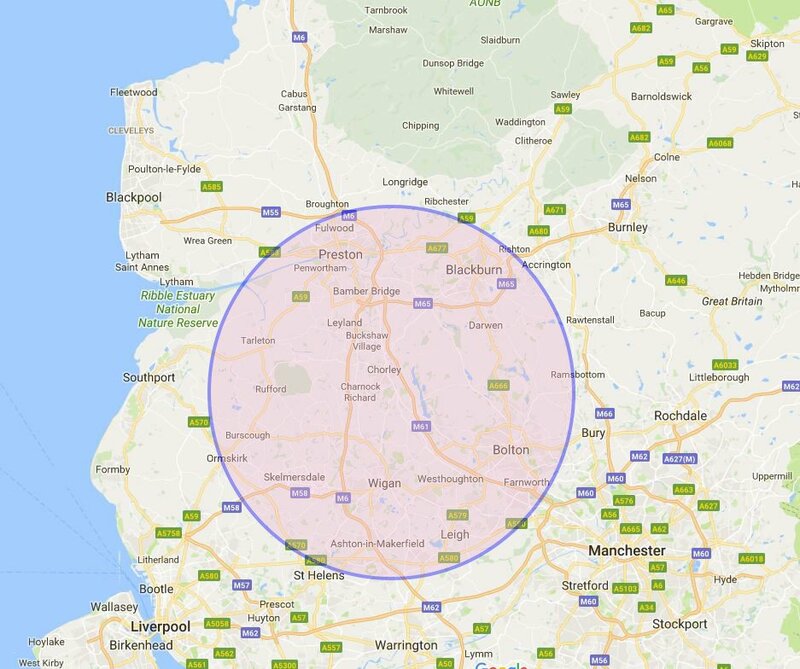 Having said this, we don’t only serve the Preston area, we provide Chorley skip hire too, along with many other locations within the North West. Our skip hire Chorley services provide trusted and reliable domestic and commercial skip hire that offers suitability for an array of needs and wants. "Cheapest Prices in the area, made my skip hire experience easy and everybody involved was really helpful and friendly. From the minute I ordered the skip to the minute it was picked up, this was the best experience I had ever witnessed while using skip hire companies. Worked to met my requirements and delivered perfectly. I will be using Preston Skip Hire again." "I have nothing but good to say about Preston Skip Hire. By far the easiest, most helpful and cheapest skip hire company i have ever used in the North West. Highly Recommend to everybody." "I have used Preston Skip Hire for many projects and I am always very pleased with how much they go above and beyond to make sure the process is followed correctly and everything meets our requirements. Fantastic company, fantastic staff and highly recommended." Here at Preston Skip Hire we offer Fast and Convenient service, with many years experience. Order a skip from the cheapest local provider here!